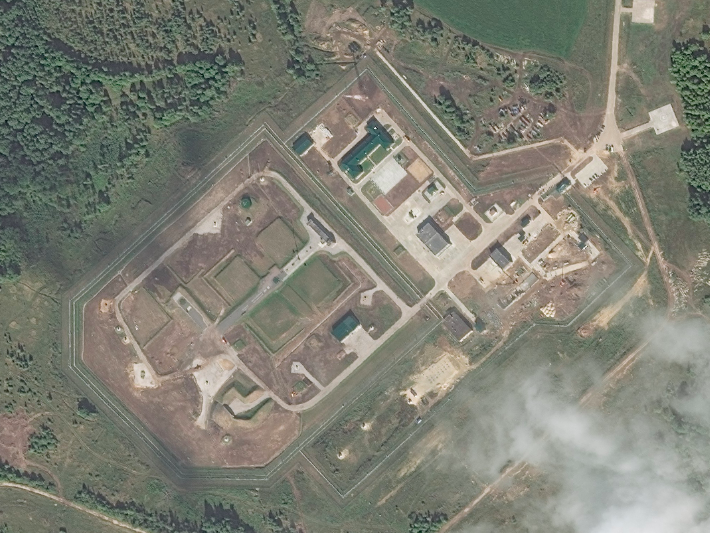 The first two Yars missiles were deployed with the 28th Guards Missile Division in Kozelsk in 2014. Since then the Rocket Forces completed deployment of the first Yars regiment there (74th missile regiment, in December 2015) and began conversion of the second one (168th missile regiment, in 2016). 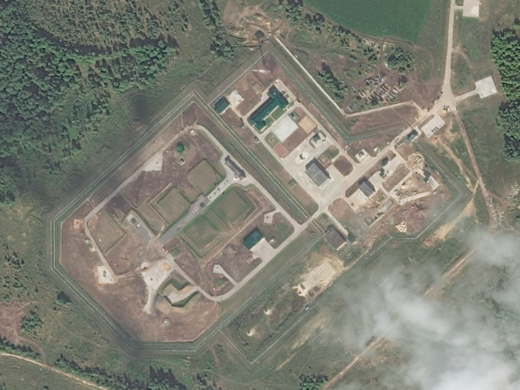 The conversion seems to have slowed down somewhat - judging by satellite images, only two silos were complete as of October 2018 (these are 54.028056, 35.46, which is a silo with control center shown on the image above, and 54.08, 35.484722). Construction was visible at four more sites (at three, in fact - 54.018611, 35.538333, 54.04527, 35.676111 and 53.995833, 35.643333 - but it appears that the fourth silo, at 53.944722, 35.574444, is also being converted). But the remaining four silos - 53.938611, 35.374444, 53.993333, 35.343611, 53.963333, 35.464444 and 54.046667, 35.329444 - show no signs of activity. They are probably just waiting for their turn and the work there begin early next year. Still, the delay is interesting, especially if we note that Yars will be installed in silos in Tatishchevo as well.